Use: used as water purifying agent, etching agent, waterproofing agent, iron and other manufacturing ink. 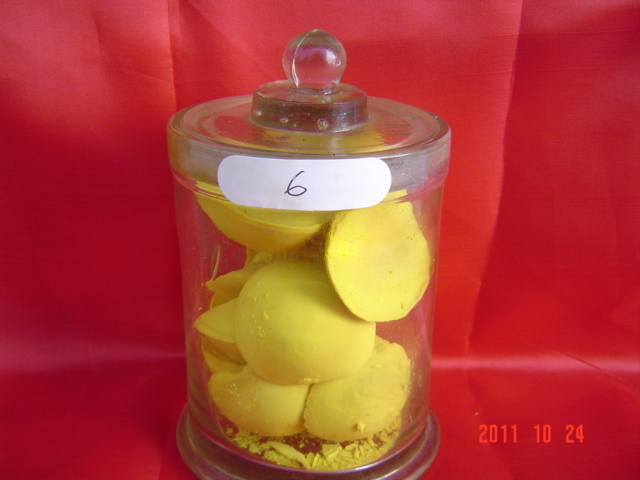 Also used as a mordant, catalyst, oxidant, chlorinating agent, colorant, condensing agent. Features: easy to absorb moisture and low melting point, so the general shape of sand are difficult to save, very easy to use, so we do a lot of experimental efforts, in addition to sandy continue to maintain, and flaky and hemispherical two forms. One is 1 kilograms of sheet, sealed in a vacuum bag do not contact with each other, but it is not convenient to open; semiglobose, due to the small contact area is not easy adhesion, is also easy to use. Looking for ideal Ferric Chloride Ferric Manufacturer & supplier ? We have a wide selection at great prices to help you get creative. All the The Water Purifying Agent are quality guaranteed. We are China Origin Factory of Chlorinating Agent Catalyzer. If you have any question, please feel free to contact us.